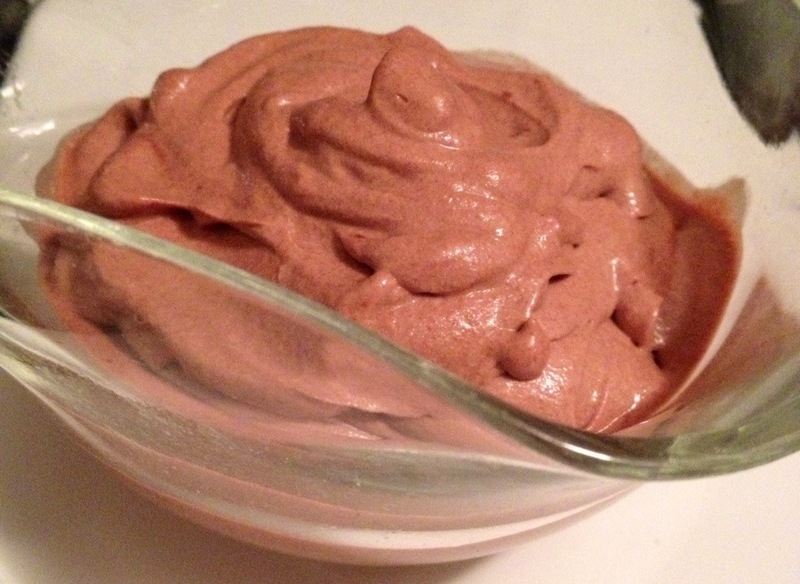 A friend was talking about a chocolate mousse recipe that he wanted to make, which made me crave it. Luckily I found this super simple recipe from Chocolate Covered Katie which says it’s for frosting shots, but basically it’s chocolate mousse. – Sweetener – Katie says the best is powdered sugar. I learned long ago that regular sugar put into a coffee grinder creates powdered sugar. I figured the same would be true of coconut sugar, and I was right! So that’s what I used. Just add different amounts of each in until it tastes the way you like it. 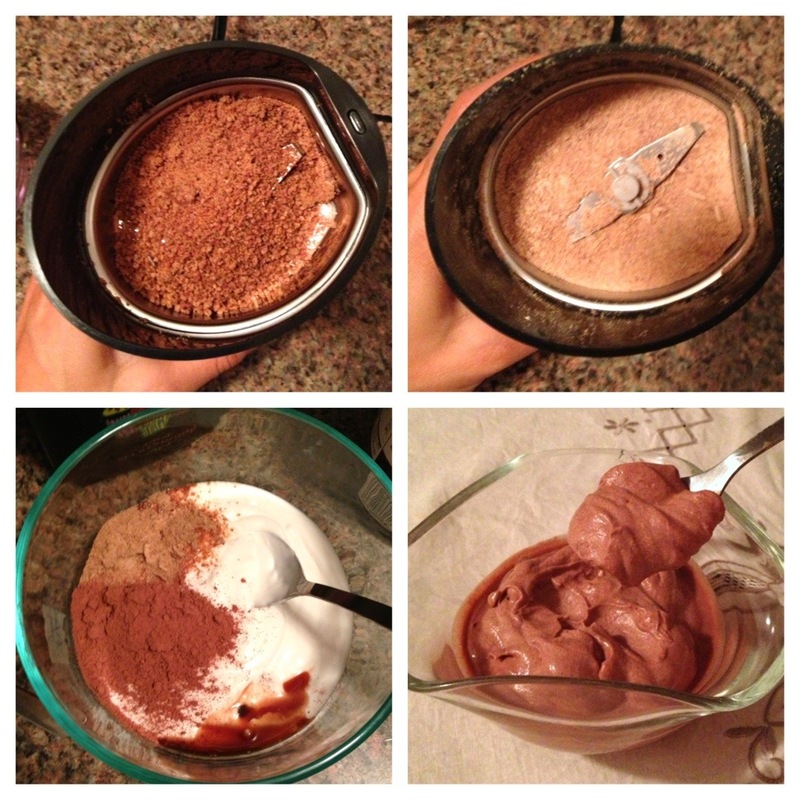 The more cocoa you add, the less you’ll taste the coconut, etc. And I left mine barely sweetened, which was really delicious and intense. When you’re done, be careful, or you might end up eating an entire can of coconut cream by yourself!